Two radical lives collide in this vaudevillian and exuberant original musical play by Seattle playwright and composer Chris Jeffries. In 1880, Oscar Wilde wrote his first play Vera, or the Nihilists, about a Russian radical Vera Zasulich, known as "the mother of terrorism." But was she? Jeffries brings these two complicated heroes together to create whip-smart tale about the costs of changing the world. Now starring at the concessions counter . . . Try an Irish Coffee or choose a Vera Vodka Tonic or a Wilde Gin & Tonic - Only $5 before the show or at intermission! 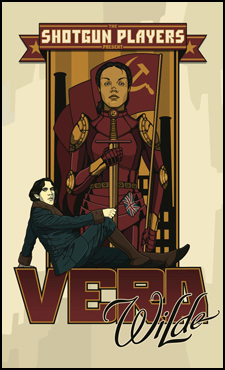 Vera Wilde runs 2 hours and 15 minutes, with an intermission.